Lean Simulations: What is Lean Manufacturing? There have been many attempts to define exactly what lean manufacturing is. Some call it TPS, after the Toyota Production System, while others attempt to define it by what it does. Lean reduces waste. Lean creates more efficient operations. Lean improves flow. Lean creates an improvement culture. Lean is about respect for people. 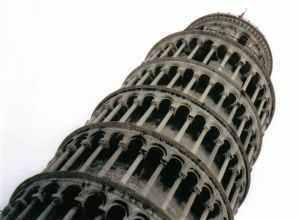 Lean is a tower in Italy. Lean identifies value. Lean makes problems visible. How do you concisely describe something that many authors have written multiple books about? Lean's very simple and at the same time extremely complex. You'll recognize it when you see it. It's true that lean is about reducing time to the customer, improving the value-added portion of manufacturing and reducing waste. But when you get right down to looking at your process, lean is common sense. Reduce the number of touches. Reduce redundant work. Basic steps that make sense, yet for some reason, no one's gotten around to doing it yet. There's a little bit of fluff in the video. . . It's just a basic introduction to lean manufacturing. However, the part that stands out for me is the graphic showing the coin divided into value added and non value added work. Anyone that's done value stream mapping will understand this ratio. Traditional manufacturing tends to grow the coin to increase value added content and make more money. Lean turns that around by maintaining the size of the coin, but only growing the value-added portion. By focusing on reducing non value added activities, there's more room for money making processes, without adding more labour. This coin graphic is a clear way to explain how efficient lean operations are not focused on reducing labour, but rather making more money with existing overhead. A work force worried about their jobs will never be engaged. I'll be using this graphic in my next explanation of lean, even if I have to sketch it out on a napkin. 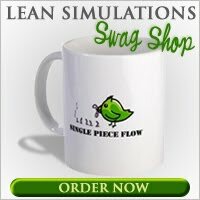 I've added this video to my list of free lean training videos. Great blog. Thanks for sharing. SPC, like any tool, can be useful, or not...all depends on knowledge of tool and ability to use it.